Τα online μαθήματα της σχολής μας για την εξέταση Toles αρχίζουν στις 20 Σεπτεμβρίου 2018. Κόστος μαθημάτων €370 για διάρκεια 60 ωρών - χρέωση ανά ώρα για ιδιαίτερα online μαθήματα €9.00. Για εκδήλωση ενδιαφέροντος, πληροφορίες και εγγραφές επικοινωνείστε στο +30 6908 686959 ή στείλτε μας email στο info@glielegal.com. Greek Law in English is an official TOLES training & certified exam centre. TOLES means 'Test of Legal English Skills'. Level 1 Foundation, Level 2 Higher, and the prestigious Level 3 Advanced. TOLES is essential for any international lawyer and a highly sought after qualification in the legal profession. There is no pass/fail line, as TOLES is designed to measure the candidate's professional competence. Students may wish to start with the TOLES Foundation or Higher exam before registering for the TOLES Advanced exam. The maximum score possible at Foundation or Higher level is 100. TOLES Advanced grading system consists of six levels of legal English skills ranging from basic (Green 0-100) to excellent (Gold 451-500). The maximum score possible at Advanced level is 500. Please note that TOLES Advanced is designed to assess a candidate's skills in business law against a native English-speaking lawyer. Therefore, the higher grades (Orange and Gold) are rather a target of attainment, not what is expected from students after a limited period of study. GOLD (451-500): EXCELLENT general English skills, EXCELLENT legal English skills. ORANGE (401-450): VERY GOOD general English skills, VERY GOOD legal English skills. RED (301-400): WELL-ABOVE AVERAGE general English skills, GOOD legal English skills. PURPLE (201-300): GOOD general English skills, SATISFACTORY legal English skills. BLUE (101-200): ABOVE AVERAGE general English skill, APPROACHING SATISFACTORY legal English skills. GREEN (0-100): GOOD general English skills, ONLY BASIC legal English skills. 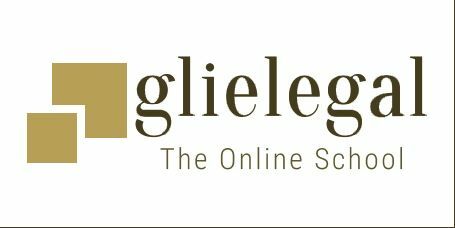 The Greek Law in English Online School offers a flexible and effective online training experience using the official TOLES legal English training materials and a host of supplementary materials and worksheets. Please note that, although preparation and training can be done online, physical attendance is required to take the TOLES exam. The Greek Law in English school is based in Ampelokipi, Athens, Greece. More details will be available soon.